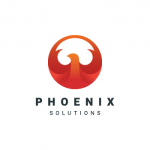 VIRGINIA BEACH, VA , December 21, 2018	(Newswire.com) - Rewarding top performers is a common occurrence around the Phoenix Solutions office. Mateen S., the firm’s Director of Operations, recently took two outstanding event managers to the Tony Robbins seminar in New York to show his appreciation for their efforts. Mateen explained that David and Thiago were the team members chosen for this unique travel incentive. David was selected for recognition because of his strong work ethic and consistent success in achieving his goals. He has also taken Thiago under his wing, setting a great example for the rest of the team by acting as a mentor. Mateen noted that Thiago’s family in Brazil couldn’t believe he got to see Robbins speak and are very proud of him. The Director explained that the theme of the seminar was unleashing the power within to better yourself in all respects. Mind over matter is a consistent message at Tony Robbins events, and one that is emphasized throughout the Phoenix Solutions training program as well. David and Thiago came back to the office more motivated than ever to reach their highest professional targets. Pitbull made an appearance at the seminar, playing some songs and delivering a speech. David and Thiago ended this memorable team-building event with a fire walk. This involved three hours of meditation to get into a peak state of mind and then walking barefoot across 1,000-degree coals. Mateen is excited to send more of the firm’s top performers to these rewarding learning experiences. Along with gaining fresh inspiration, attending a Tony Robbins seminar is a great way for team members to learn about some vital leadership skills. Mateen believes several key attributes are reinforced at these kinds of motivational events. Accountability is at the top of this list. Hearing Robbins speak is a reminder of how important it is to take the reins and focus efforts on clear goals. As members of Team Phoenix Solutions soak up Robbins’ wisdom, they become better equipped to set the right kind of example for new event managers. Following words with clear actions is also something leaders must be able to do on a consistent basis. Mateen noted that it would be difficult to find a better motivator than Robbins in this area. He’s become a world-renowned speaker for a reason, and those who attend his seminars leave with greater determination to follow through on their biggest aspirations.